You imagine it, we create it. We focus on experience based, sustainability focused, passion driven, hand crafted content. The brief is the most exciting phase of the project (Until the end that is, when the video hits the audience). We receive your vision, and interpret it into the visual art form. Difference surface for every client. 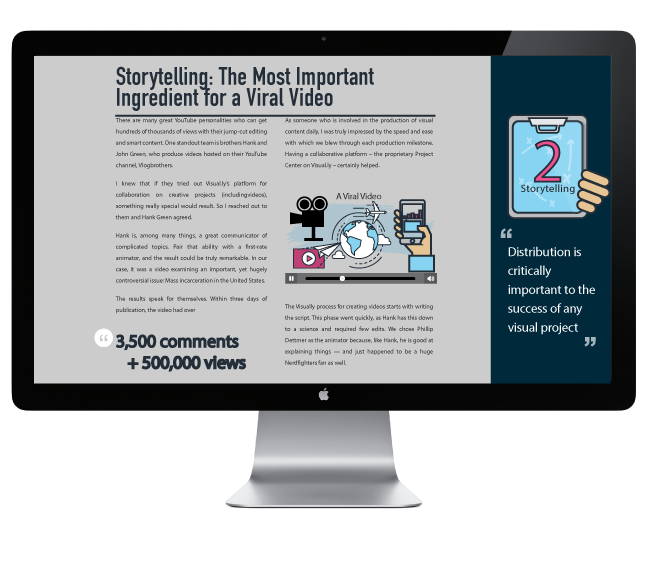 Some are fully prepared with storyboards, script and dates, and others just know they need a video for their brand. We are adaptable. We can realize your specific vision and fill in any creative gaps so you get what you’re looking for. Your success is our accomplishment. We paint the picture for you, and once you agree that our vision aligns with yours we put pencil to paper. We love to have all our ducks in a row, so we go the extra mile in pre-production to ensure we’ve thought of every possible scenario, crossing our i’s and dotting our t’s. Shooting with the Visual Earth team is seamless, efficient and most importantly is fun, so we get to be our most creative. The most exciting part of the process is seeing your vision come to life. We know the tourism business operates 24/7 365 days a year. We ensure that our production process creates excitement, not inconvenience, for your current guests and clients. Our friendly crew always comes dressed to impress and maintains the highest level of professionalism. We want you to love our team, and we’re sure you will. Post production is where the magic really comes to life. Our professional graphic designers and editors will fine tune the story to your satisfaction. We’re just as excited as you to see your vision come to life so we prioritize a quick turnaround for your ready-to-launch video. Need more content? Our editing wizards can use your footage to create a steady stream of social media friendly clips. Just think, you could be receiving content from us for the rest of the year! Marketing puts you on the map. In the metaphor of golf, the drive is marketing, and putting is the visual media itself. You need to get eyes on your content. We have a brilliant social media management and online marketing team that can help you get the most out of your investments. You need a strong identity. Visual Earth is a leading film production house and multimedia marketing agency for the destinations. We use cutting edge 4K cinematography, Drones, Virtual Reality technology, HDR Photography, and proven social media strategies to showcase your brand. Our digital storytelling captivates and influences your audience. We are focused specifically on destinations. Our work is proven to increase bookings and generate clientele. Want to engage and the next generation of the digital savvy buyer? We use compelling multimedia approaches to create promotional content for anything from high-tech products, luxury resorts to adventure destinations, from wineries and breweries, to wellness retreats to radical events! We believe that creative, well-executed visual content forges emotional connections with potential customers. Analytics prove that quality video content leads to more direct bookings, longer length of stay, return clients,and a more lucrative bottom line. Video communication is transforming online marketing. Let us position you at the forefront of the visual landscape. LIFE IS SHORT. READY TO START SHARING?? With proper marketing and distribution of the content, we have all the tools to create a viral buzz. Our content rich media urges guests to become brand ambassadors and inspires them to tell their own story about traveling. Let us create a custom proposal. We’ll create great content for you that is guaranteed to drive more visitors to your destination. You know you need it. We know how.